If you use a calendar app to organize your life, you may have noticed that you can add a new event on your phone and it will be immediately updated to your desktop. Likewise, your contacts can also be updated instantly across your devices whenever you make changes. Have you ever stopped to wonder how this happens? Unfortunately, it’s not magic, unless you consider the painstaking process of a bunch of engineers sitting in a room and bickering to be magical. The answer behind what is actually going on will depend on which system we are talking about, but some of the most common underlying protocols for syncing are CalDAV and CardDAV. Calendaring Extensions to WebDAV (CalDAV), and vCard Extensions to WebDAV (CardDAV) are Internet Standards that are frequently used to sync calendars and contacts, respectively. They are both based on the HTTP extension, WebDAV, which enables clients to remotely edit documents on a web server. To understand what CalDAV does, let’s first discuss one of the main problems that led to its development. Let’s say you’re a businesswoman in 1995. You have a secretary who normally handles your scheduling, but you run into an old friend on the street. You have a quick conversation and then, knowing that you have the night free, you agree to meet up that for dinner. The problem? Just minutes before, your secretary had scheduled drinks with your superiors at the exact same time. When you see your secretary a little while later, you find out that you have been double-booked and face the difficult decision of either ditching your friend or skipping the business drinks, which could lead to numerous career opportunities. The real issue here is that previous systems just weren’t reliable enough to make real-time changes to your schedule. Well, what if a current version of your schedule could be accessed at any time from anywhere? This is what CalDAV can give us. There is a range of other calendar systems that perform similar functions, but CalDAV is an interoperable standard that is now used in a range of calendar applications. There is also a range of third-party applications that support CalDAV and make it easy to use on systems like Windows. At LuxSci, we also offer CalDAV synchronization as part of our HIPAA-compliant secure email. Our setup makes it simple for users to access, share and update their calendars across their devices. On top of this, our CalDAV solution also comes with our security-first approach. 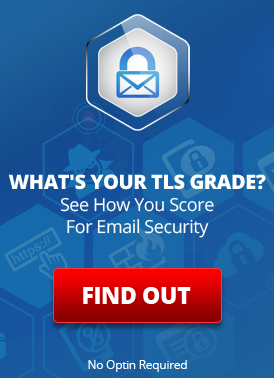 Your calendar is guarded by TLS and can only be accessed with your password, meaning that only authorized individuals have access to your data. To understand CalDAV and how it can update in real-time, we have to think about where the calendar is actually stored. Is it stored on your computer? On your phone? In the ether? Or is it somehow simultaneously stored everywhere? The answer is that your calendar is stored on a remote server. This provides a central hub that gives your devices up-to-date information. If someone wants to schedule something on your calendar, they can perform queries to find when you have free time available. The owner of a particular calendar can set their own security levels, as well as nominate who can make changes to their calendar. Since CalDAV is an interoperable standard, it can do this between organizations and across a range of different types of software. As you might have already guessed, CardDAV allows people to keep their address books and contact information updated in real-time and across all of their devices. With CardDAV, you can alter the personal details of a contact on your phone and the same changes will be made on your computer, without you having to do anything else. Its interoperable nature makes it easy to sync contacts between a variety of different platforms, saving you the hassle of doing it manually. Third-party applications can also be used to integrate your contacts into platforms that don’t natively support CarDAV. 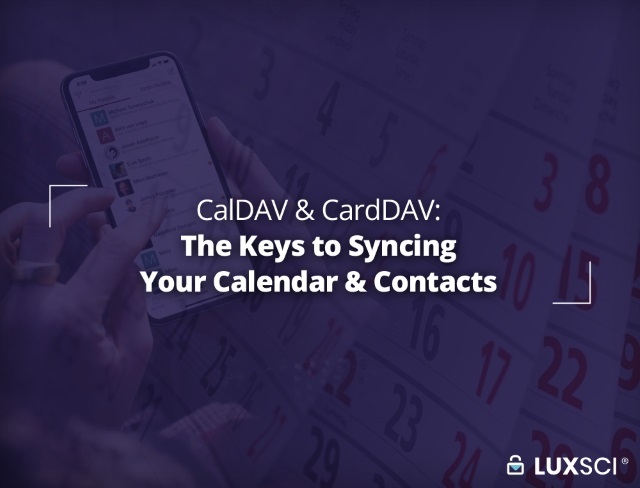 Just like with CalDAV, CardDAV synchronization is also a part of LuxSci’s HIPAA-compliant secure email. This makes it easy for you to sync your contacts, all with LuxSci’s renowned approach to security keeping your information safe. Since we have already introduced CalDAV, which is similar in a number of ways, much of the mystery behind CardDAV is pretty easy to figure out. Once again, your address book is kept on a remote server. When updates are made from your phone or computer, the changes are put through to the server, which keeps all of your other devices in sync. The CardDAV standard makes it much easier to keep your contacts in order and up-to-date. Without it, we’d either be faced with the arduous task of constantly editing our own address books or having to deal with confusing address books that are filled with duplicates and errors. This entry was posted on Wednesday, February 6th, 2019 at 5:05 pm	and is filed under New Feature Announcements. You can skip to the end and leave a response. Pinging is currently not allowed.